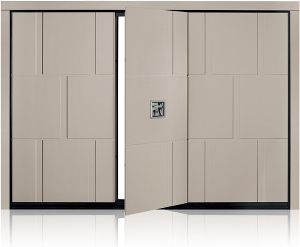 When you visit our garage door showroom you will be free to browse. 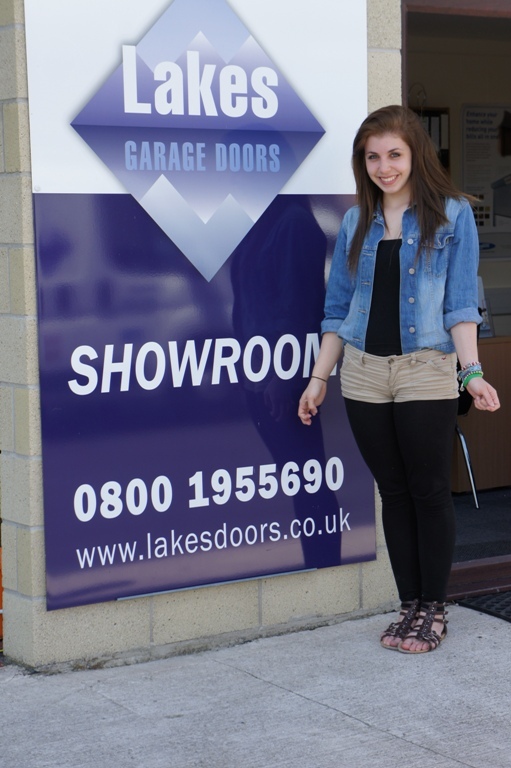 Hayley or Lesley, both of whom have a sound knowledge of the products we sell, will be on hand to answer your questions regarding the garage doors, front doors or gate products. If you wish, and you have the approximate measurements of your garage door opening, they can give you an idea on prices. These prices can be converted into a quote once we have carried out a site survey of your property. During the survey all measurements are taken and any special features of your garage noted. This survey will then be used to provide you with a firm quote and will include agreed items such as optional extras and electric operation, trim used to seal around the door, and any special finishes or colours. 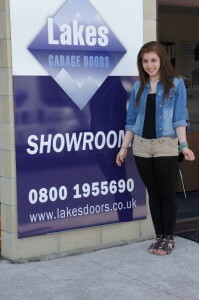 A visit to the garage door showroom will also give you opportunity to see our high quality front doors. We are very proud at Lakes Garage Doors to be associated with the manufacturers of these state of the art entrance doors.